Dr. Blakely studies brain proteins called neurotransmitter transporters to understand how their structure relates to antidepressant and psychostimulant action and how knowledge of transporter regulation can elucidate mechanisms of brain disease and provide clues to novel therapeutics in mental illness. His laboratory has cloned human and rodent genes that encode multiple neurotransmitter transporters, including those that produce the brain’s norepinephrine and serotonin transporters, the targets of most clinically used antidepressants. Dr. Blakely’s group has discovered several mechanisms by which the brain regulates transporter activity, thereby achieving the proper balance of neurotransmitter signaling, and has identifi ed mutations in norepinephrine, dopamine, and serotonin transporters that are associated with multiple neural disorders, including autism, ADHD and major depression. 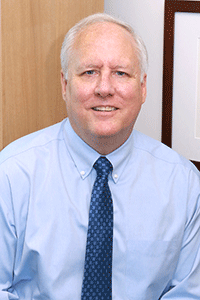 Prior to assuming the position of Executive Director of the FAU Brain Institute in 2016, Dr. Blakely was the Allan D. Bass Professor of Pharmacology and Psychiatry in the Vanderbilt University School of Medicine.